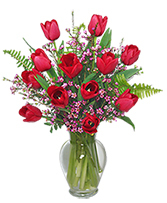 Regionally grown Tulips with fern and accent flowers say Love Springs Eternal on Valentine's Day. Tulips colors vary. 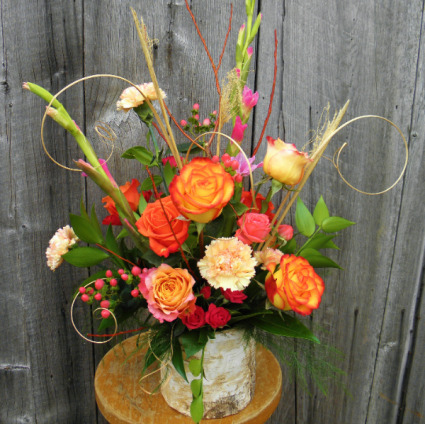 Let us know your color preference in Special Instructions and our designers will make the best match available. 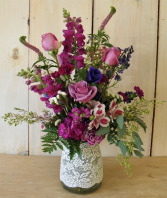 Lovely combination of lavender and purple blooms in a romantic lace covered vase.